Location: 6 km/4 Miles NNE of Gulfport, 10 km/6 Miles WNW of Biloxi & 50 km/31 NMiles W of Pascagoula. By Taxi: To Gulfport $15-18, Biloxi $28-33, Pascagoula $72-85 & New Orleans $120-140. Biloxi City Cab (228) 385 7777 & Gulf Coast Checker Cab 863 1011. By Bus: The following hotels provide transfers for guests: Best Western-Seaway (228) 864 0054, Hampton Inn 868 3300, Holiday Inn-Airport 868 8200 & Holiday Inn-Beach Front 864 4310. By Shuttle Van: Hotard Shuttle (228) 354 8401. To Imperial Palace Casino, Isle of Capri Palace Casino Resort or Keesler Air Force Base $12 one-way, $22 roundtrip. Off-Airport Rental Car Providers: Enterprise & ACE Rent-a-Car. Car Parking: A free shuttle runs from the Car Parks to the terminal. Cost: 15 mins free, 30 mins $0.75, 1 hour $1.50, 24hrs Long Term $7, 24hrs Short Term $9. 1 Week $38.50. By Road: 16 km/10 Miles/15-25 mins. By Taxi: Citicab Co 601 355 8319, Deluxe Cab Co 948 4761, Veterans Cab 977 1000 & Yellow Cab Co 922 3782. On-Airport Rental Car Providers: AVIS (601) 939 5853, Budget 932 2126, Enterprise 664 0106, HERTZ 939 5312 & National 939 5713. 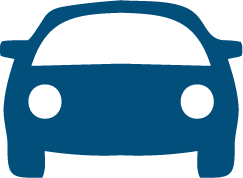 Car Parking: There is no difference between long and short term parking costs at this airport. Rates are as follows: Garage: $1 per hour, $12 daily Max, Surface Car Park: $1 per hour, $10 daily Max. Location: 3 km/2 Miles E of Tunica, 60 km/38 Miles SSW of Memphis, TN & 32 km/20 Miles ENE of Helena/West Helena, AR. By Taxi: Tunica Cab and Shuttle (662) 357-7900. By Shuttle Van: Kings Way Shuttle Service (662) 470-4344 & Shuttle Services (800) 691-5956. Rental Cars: Enterprise (662) 363-9904 is in Arrivals. Car Parking: Available close to the terminal at no cost. Airport Tel No: (662) 357-7320.